These measure about 10"x 26". The clock face will rotate in the shoe so you can hang it at any angle. 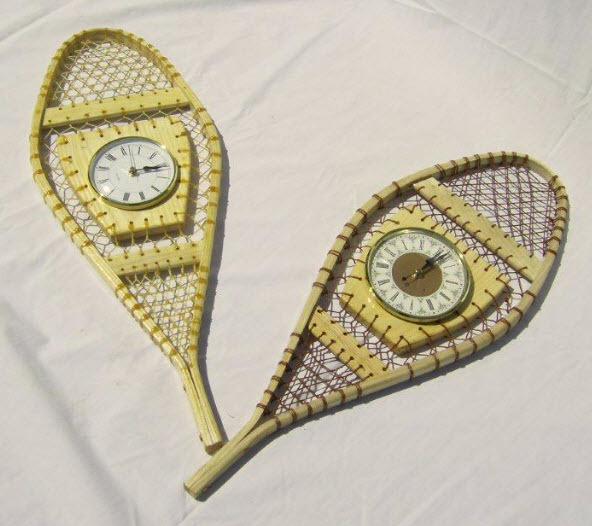 These are made from the same frame used for the children's snow shoes. We offer you a choice of the dark or light clock faces as well as the dark or light colored lashings.